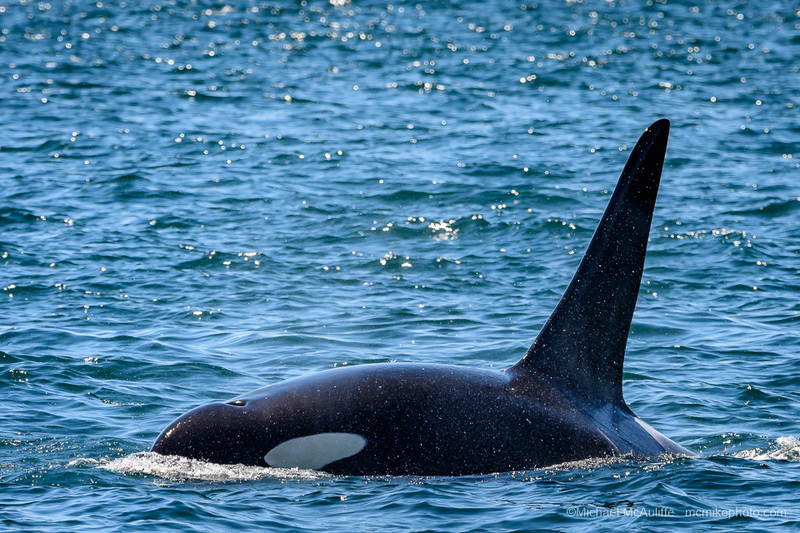 Last weekend I went on a whale watching cruise with Mystic Sea Charters out of Anacortes, Washington, north of Seattle. 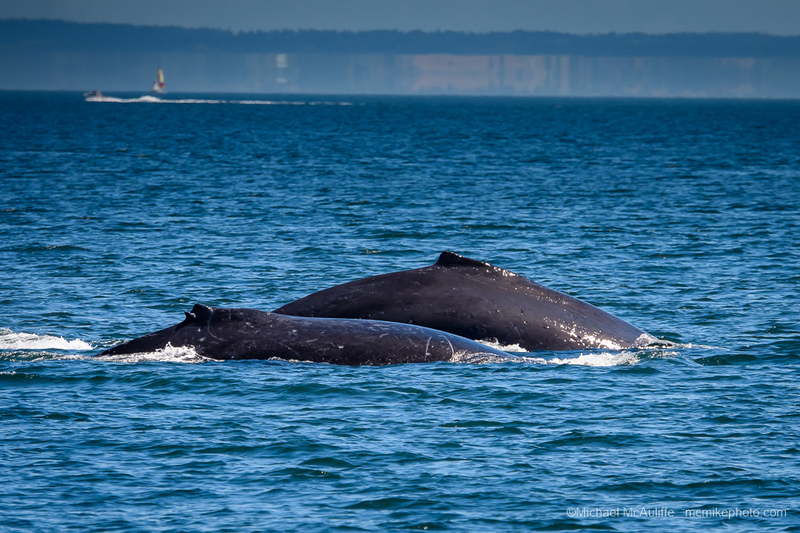 It was a great day on the water–warm and sunny with temps in the 70s–and I got the chance to photograph both Orca and Humpback whales. The highlight of the cruise was a large male Orca (bull) that swam quite close to the boat and as you can see in the photo below. The photo above shows the spirited show that the whale put on for us, repeatedly slapping its tail in the water. 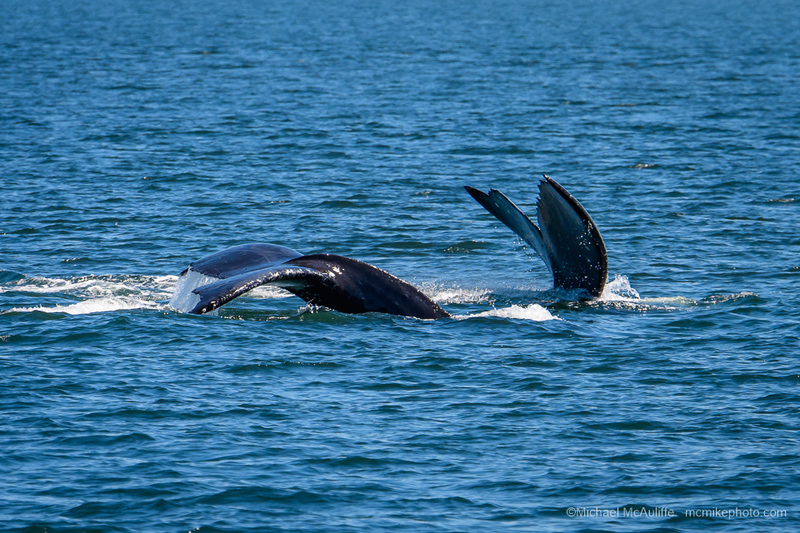 We also spent some time with the pair of Humpback Whales in the photos below. These amazing whales are huge–an adult can approach the size of a school bus and can weigh as much as 40 tons, which is a whopping 80,000 pounds! If you’re ever in the Seattle area looking for a fun day on the water, a whale watching trip with Mystic Sea Charters is highly recommended. 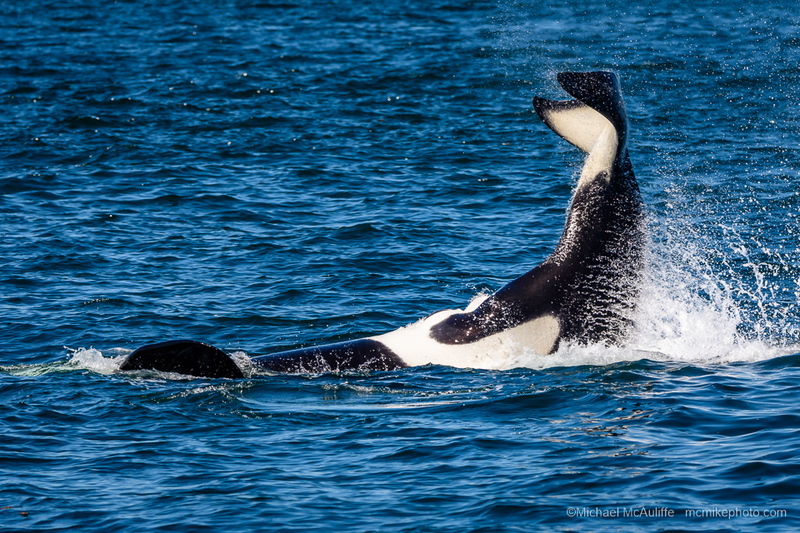 This entry was posted in Humpback Whale, Orca Whale, San Juan Islands and tagged Anacortes, Humpback Whale, Humpback Whale Photos, Nikon 80-400mm Lens, Nikon D500, Orca Photos, Orca Whale, Puget Sound, Whale Photos.